This is very simple recipe . Very simple ingredients are used in our home. Uppu adai is used by rice flour and black eyed bean this is also one of the special neivediyam of karadaiyam Nombu. Salt biscuit is a very popular snack in India. It is one of the most easiest snack or biscuit recipe which can be prepared at home with very few ingredients in an oven. It is a perfect tea time snack.We prepare both sweet and salted version of this biscuit. 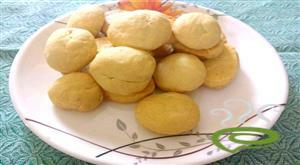 Today we are going to learn how to make salted maida biscuit following our easy recipe. Nippattu is a delicious snack that can be enjoyed with coffee or tea. Nippattu is a very spicy, crunchy and tasty snack. There are many variations of Nippatu recipes . This is a deep fried Indian snack that is perfect for a short time preparations. Here is a recipe that brings together the rasam and vada into a complete dish on its own. Rasa Vada a tasty variation to regular vadai.Obviously it is vada in rasam.Rasam is a thin soup made along with spice powder.- The vadai used to melt in the mouth along with the flavor of rasam. The taste goes amazing . This is a very delicious and spicy murukku prepared with Idli arisi, roasted gram flour (pottukadalai) and chillies. Idli arisi Murukku is an age old traditional method of making murukku. Sour Gobi is one of my all time favorite..I make it quite often. It can be had as a starter or as a side dish or as a tea time snack. It is quite popular dish in any Indian. Crispy Garlic ribbon pakoda is a super diwali snack made from rice flour and garlic . This Garlic Ribbon pakoda also called as olai pakoda, nada murukku. Murukku or Muruku or Chakli is popular evening snack or Diwali/festival recipe made normally with rice flour. This Besan Murukku is a good change from usual mullu murkku, butter murukku, thenkuzhal murukku, coconut murukku or any other murukku/chakli variety. Ribbon Pakoda is a popular south Indian tea time snack generally made during festival time. Aka nada murukku because of its resemblance to nada or string. One of their famous and tasty murukku variety is garlic murukku. This Murukku is very flavorful and full of garlic aroma. If you are a person who loves garlic flavor very much as we do then this one is definitely for you. Today's recipe is simple and easy to make savory snack that can be made for the upcoming festival, Diwali. Thus is very easy to prepare & Very crispy . Basically this recipe is made with very less ingredients what we have home always . Chinese Egg Rolls are crispy and crunchy. Easy and fast to make this egg roll recipe. Bread Fritters is a tasty and deep fried snack or finger food that is perfect accompaniment for cocktail / mocktail party or any type of gathering. This is also one of the popular street food in India.